Note the UT inside the shield behind the balance wheel. This signifies an original Unitas movement. 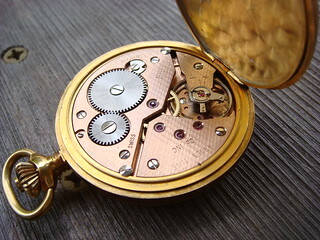 This movement was produced prior to ETA buying the company about 30 years ago.